This 4-night silent retreat, held in a contained and nurturing atmosphere of contemplative silence, provides an opportunity to discover the healing and transformative path of meditation. Drawing on the practices and wisdom of Buddhist psychology, we will discover ways to free ourselves from our self-critical, perfectionistic conditioning. Through embodied meditations which calm and ground us in the present moment, we will cultivate a foundation of trust, supported by the silence and nature. When we embrace our vulnerability with kind and compassionate awareness, we can connect with that which nourishes and nurtures us, so that we can move beyond fear, shame and self-doubt. Within the spaciousness and safety of the silence, we can discover that the possibility of freedom lies in the very next breath. This retreat includes sitting and walking meditations, daily sessions of qigong movement meditation, as well as optional gentle yoga and relaxing aromatherapy massages, to enhance the integration of body, heart and mind. There will be short, individual sessions, as well as time for restorative rest and silent walks in the spectacular Welbedacht Nature Reserve, in which The Blue Butterfly is situated. A pre-retreat individual session is required for newcomers or if you have not attended one of Sue’s residential retreats before. The fee for this is R850 for 50 mins, fully covered by medical aid and can be reduced if necessary. 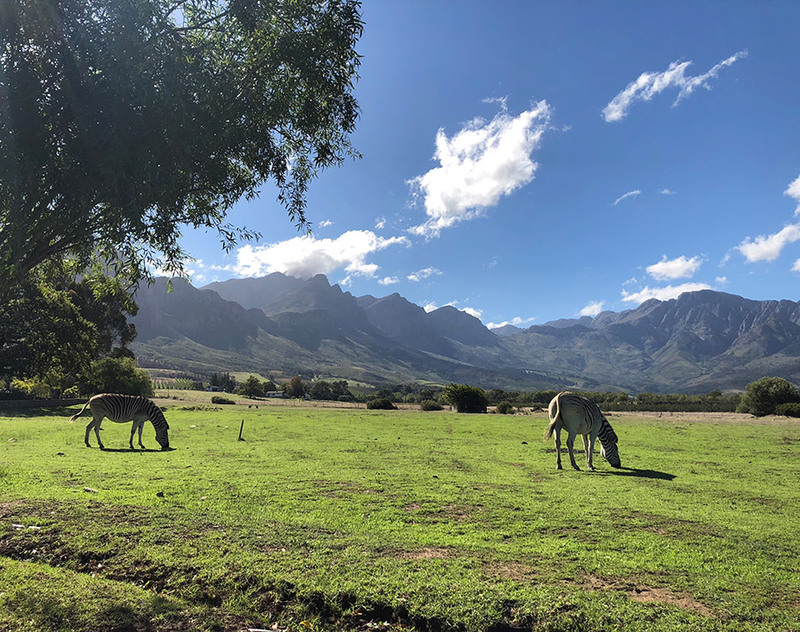 The Blue Butterfly Retreat Centre is situated in the beautiful Welbedacht Nature Reserve in Tulbagh. The accommodation is located at The Blue Butterfly as well as in the cottages in the Reserve, 400-600m walking distance away. There is also a large dam and some meditation pools 1.2km away from the Blue Butterfly buildings. A deposit of R2500 - R3000 (or 50% of the Food and Accommodation cost if you are able) confirms your place, R1500 of which is non-refundable. The remaining balance (or another installment) of the Accommodation and Food is due before the end of February please. The full balance is due by the middle of April, but longer payment plans are available on request. 2 Bedrooms, 1 with double bed and bath en-suite and 1 with double bed and shower en-suite. If your place is filled, there will be a refund less R1500. If your place is filled, there will be a refund less R2000, but in the event, your place is not filled a refund less 75%. If your place is filled, and the retreat is fully booked, there will be a refund less R2500 (non-refundable deposit).